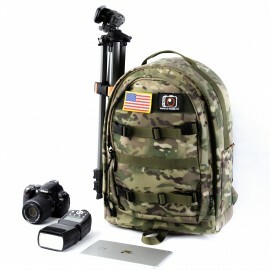 A-pro100 — The large capacity camera backpack. It could store D3,D4 and 1D size camera with lens. The bag is made of water-resistant Nylon. High quality gloss and smooth tactile impression, what’s more it is durable as well. 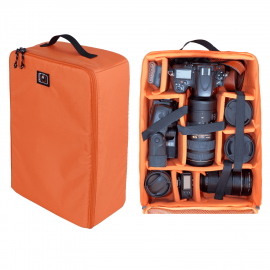 The inner lining of the whole bag is made of Nylex, 2 long and 5 short divider compartments inside, make the space could be adjust to any cameras and lenses you have. 2 extra rubber bands help to secure the equipments. 15mm shockproof thicken body and compartments; make sure your cameras in well protection. The zipper of the bag is YKK; it is smooth and durable than some other zippers. It makes the whole bag strong. There is a Velcro in the front of the bag for logo or your personality tap. You could always show something interesting to other people there. There is a small pocket on both side of the bag; you could put your drinking bottles and tripod there. The two removable and adjustable straps with buckle in the front help to insecure the bag. It could also use to tight your tripod on the side. There is a padded decompression system on the bag, combines with the thicken and widen shoulder strap, it will help to reduce the pressure during long travel. The adjustable strap with buckle on the shoulder strap and the two 56cm long 3.8cm wide adjustable strap for the waist could stop the bag from shacking when hiking in the mountains. There is a hidden rain cover between the bottom and body, you don’t have to worry about the sudden rain when outside. Just get it now, and start your travel. Waterproof, large capacity camera insert bag. A best way to take care of your loved camera and lenses. Heightening inner design, now you can store your Nikon D5, Canon EOS-1D and other similar size cameras. Folding Partition DIY Padded Camera Bags SLR DSLR TLR Insert Protection Case. 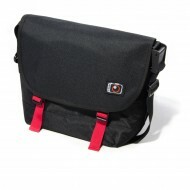 New design camera insert bag can be folded to a smaller size for your easily storage. IN200 is made of Senior water-resistant Nylon fabric, and it’s liner is senior polyester. IN200 DSLR insert has the largest space design for most medium size camera and large lens in the market. It can carry 1 camera + 4~6 lenses (including 70~200F2.8) + flash, accessories and Ipad. The space can be adjusted to small or big as you like. You can take the insert out to store your equipment when you’re at home, or you can put it into a suitcase when outdoor. The inner zipper net pocket could help to store most of your loved accessories. SPX02 Camera bagMaterial: 900D & 1050D Waterproof Nylon Oxford,400T Waterproof Nylon Padded: 5mm..
SC03 Camera bagMaterial: 1680D water-repellent NylonPadded: EPE External Size: 36*26*16cm (L*H*W)Adj..
MT01 Camera bag SetMT01 Material: cotton canvas or Denim ,230T Waterproof NylonSize: 42*32*18cm (L*H..
ISO100 Camera bagMaterial: 900D waterproof NylonPadded: EPE External Size: 36*22*15cm (L*H*W)A..
SC01 Camera bagMaterial: 900D Waterproof Nylon OxfordPadded: EPE External Size: 39*30*17cm (L*H*W)Ad..
SC02 Camera bagMaterial: 900D Waterproof Nylon OxfordPadded: EPE External Size: 33*20*10cm (L*..